The HIV/AIDS & TB Specialist will ensure timely, high quality and effective delivery of HIV/AIDS & TB services in compliance with the National and GF guidelines, approved work plans, perfomance framework and budgets. Post graduate training in Internal Medicine, Pediatrics, or Public Health. Ability to coach, mentor and develop technical capacity in regional and national projects and technical staff. Responsible for programme quality management and reporting within Global Fund programme implementation. 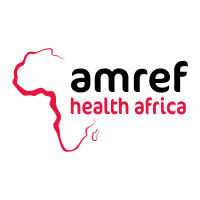 Responsible for mabaging data collection and reporting for the monitoring and evaluation (M&E) Framework including designing tools , methods and process for monitoring of the project t ensure progress and results, specifically for HIV and TB. She/he is responsible for developing M&E and reporting formats for SRs to monitor delivery and technical outcomes with the focus on module and regional targets. She/he will ensure that modules delivered by SRs are accurately reported and that data quality is assured, including collaboration with the government on reporting towards national indicators. Masters degree in Public Health; Economics; Biostatics; Epidemiology or related field. At least 5 years of “hands experience” at senior position in M&E esp. in NGOs active in health development. Proven ability to manage the use of M&E resource. Experience in HIVAIDS/TB field and Global Fund supported programming will be an added advantage. The Project Officer-Adolescent Girls and Young Women will be responsible for ensuring quality implementations of HIV prevention interventions for adolescent girls and young women within the Global Fund Programme including providing close oversight of CSOs implementing AGYW interventions in the regions. She/he will directly support the HIV/TB Technical Advisor, in the design, roll-out and day to day management and implementation of community-based prevention interventions with AGYW focusing on social and structural change approaches on HIV prevention in Tanzania; addressing gender roles and cultural norms, behavior change with multiple concurrent partners, and rights based programming.